Batch 4, Six Standards, Decision 12/2005/QD-BTC, February 15, 2005. Batch5, Four Standards, Decision 100/2005/QD-BTC,December 28, 2005. Standards are drafted and commented on by standards setting groups while the final issuance of these standards is through MoF. 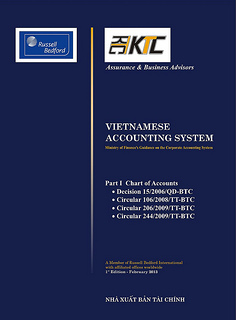 Below are the twenty-six issued Vietnamese Accounting Standards.